Q: When I connect to eVoucher, there is no place to type in my username or password. How do I log on? Q: I know I’m supposed to use an approved browser, like Internet Explorer, to connect to eVoucher, but Google (or another service) keeps popping up. How do I make it change to Internet Explorer? Q: My username and/or password won’t work. What do I do? Q: I want to change my username or password. How do I do that? Q: Is the Edge browser in Windows 10 compatible with CJA eVoucher? Internet Explorer (IE) 8 or newer is approved. If you are using a Mac, Safari is also compatible. 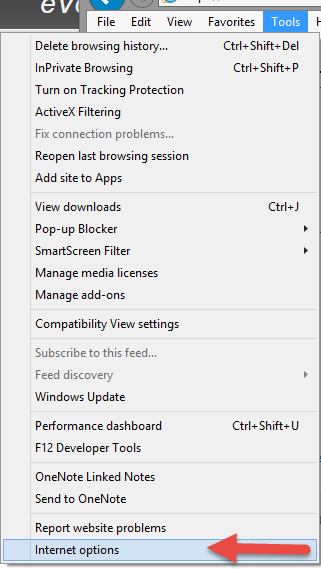 Go to Tools on your browser menu bar and click Internet Options. 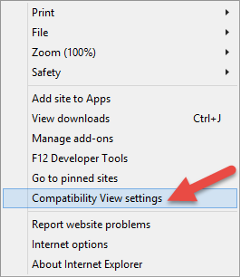 Choose the option Check for Newer version of stored pages: Everytime I visit the wepage. A: If you incorrectly enter your username or password three times, the system will automatically lock you out of your account for security purposes. Please contact 5th Circuit CJA Help Desk at 504-310-7799 or cja_request@ca5.uscourts.gov and request that your account be unlocked. Selecting the "Forgot Your Login?" link on the eVoucher login page will not unlock your account. A: You can change your username and/or password at any time. If you have provided this information to someone who is no longer authorized to act on your behalf, you should change your password for security reasons. To do this, click My Profile on your home page of eVoucher. Click Edit on your profile page. To change your username, highlight your current name and type in a new username. Then click change, and then click close. To change your password, click reset. Type your new password in both boxes. CJA eVoucher passwords must be at least eight characters long with at least one capital letter, one number and one special character. Click reset a second time. A: No, CJA eVoucher will not work in the Edge browser. 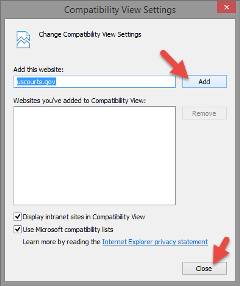 Internet Explorer 11 is included in Windows 10, but it is not the default browser. 1) Select the Windows button and type Internet Explorer in the Start Menu. Internet Explorer 11 will appear. Select it to launch the browser. 2) Go to the Start Menu > All Apps > Windows Accessories > Internet Explorer.